2 females and 1 male. 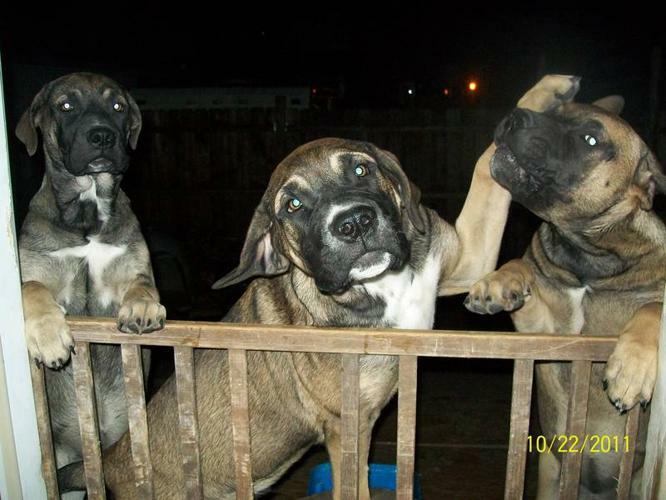 The mom is a Bullmastiff_Rottweiler and the dad is a Bullmastiff_Neapolitan Mastiff. Please call 414- if interested. SERIOUS INQUIRIES ONLY!